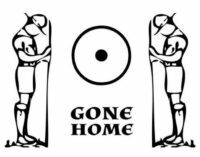 It is with great sadness that we have to inform you all of the sad passing of 3rd Chalkwell Bay’s Group Scout Leader Ian Johnson. Ian was taken unwell and sadly died. This will come to a great shock to many and he will be sadly missed considering the thousands of young people and adults that he has supported and led over the years. He was a prominent character in the community serving with Essex Fire and Rescue Service, St John Ambulance, the Scout Association and many other organisations. We are pleased to be able to share a sneak preview of the RN100 badge design, which will mark 100 years of the Royal Navy partnership in 2019. Congratulations to our very own Tallulah from 3rd Chalkwell Bay Sea Scouts , who submitted the winning design. The occasional badge will become available from Scout Store in late 2018.